Everyone is wondering what the long term BREXIT Impact on Retirement Portfolios will be. Markets were down significantly and then have rebounded again. In effect in the short term there has been little impact on portfolios so far. But what will be the long term impact be on your retirement nest egg? If anyone tries to tell you they know, don’t believe them. They just cannot predict what will happen in the future. There are so many financial decisions that will be made by governments over the next couple of years, no one knows. It will take them several years to unwind the UK’s involvement in the EU. So what should an investor do in the mean time? 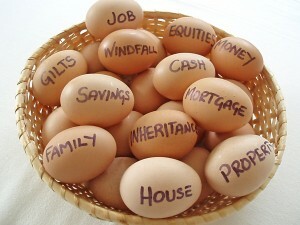 Bottom line, if you have a well diversified strategy in quality investments stick to your plan. Adjust as you would normally based on your plan and do not make any sudden or emotional changes. There will be many more equivalent volatile events over the next few years. Investing for the long term means you need to be prepared for this volatility and invest accordingly. 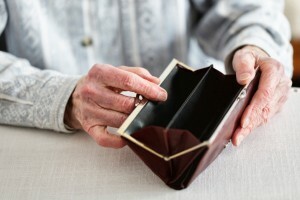 If you had spare cash available, you have already missed the window to take advantage of the downturn. Timing the market is almost impossible for the average investor. Most people are far better off investing for the long term in blue chip dividend paying stocks across a diversified set of companies. This entry was posted in Personal Finance and tagged Investment Risk on 2016/07/21 by ernie. Laid off – over 50 no pension no retirement savings – what now? I cannot imagine a worse nightmare. Being laid off and over 50 no pension no retirement savings! There are not many viable alternatives for someone in this situation. Obviously the first thing they need to do is find another job. Aside from finding another job, they need to also really think about what they will do later in life. How will they afford to live? Where will they live and how will they pay for groceries etc. There are so many questions, bit bottom line is life will be difficult unless they find a solution to their problems. This entry was posted in Personal Finance and tagged Retirement Challenges on 2016/07/09 by ernie. Elder abuse can come in many different forms. In some cases it is a failure to provide adequate care while in others it is actual physical abuse. But there is another form of abuse. This is where banks and elder abuse come together. Also where they can make a difference. Financial elder abuse can come from scams that are perpetrated by 3rd parties on confused seniors. They somehow persuade them to part with large sums of money. In other cases, it is the actual family members who have responsibility for the senior’s financial affairs. It may be a son or daughter or a relative that just cannot resist taking some of the money out of the bank for their own personal use. There are a number of ways that the banks as well as individuals can protect themselves from this sort of financial abuse. The banks are gradually putting systems and triggers in place. These alerts will alert them when large sums are removed from an account. Also abnormal amounts that do not fit the profile of the account owner can also trigger alerts. But there are more ways that you can protect yourself as well as your elder family member. We will list a few steps that consumers can take to protect themselves. This applies to the senior as well as the person responsible for looking after their accounts. It is not fool proof, but it is a step in the right direction. Living Will – make sure that there is a living will that specifies at least two people who will look after health decision and financial decisions. Make sure the bank is aware of the living will. Account Alerts – emails can be sent based on triggers of both deposits and withdrawals to the designated living will executors and the senior in question, providing information about activity taking place in the account. Monitor – Check online at least once a month and more often to make sure that nothing suspicious is going on with the accounts finances. 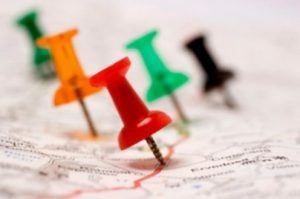 Place Limits – on the account in terms of transactions. Anything larger than a specified amount triggers a phone call to the executors or the account owner for approval. Make good decisions regarding your living will executors. There is a much higher probability of avoiding elder abuse. For more details on personal finance issues, click here. This entry was posted in Personal Finance and tagged Elder Abuse on 2016/06/07 by ernie. Most real estate agents are honest and ethical and this post is certainly not a slight against real estate agents. However we recently came across a situation that we wanted to pass along to our readers that really suggests that all consumers should pay attention to and avoid if possible. In our opinion it borders on the less than ethical side of the business, although we cannot and are not suggesting that it is illegal by any means. We are just not sure that the agent does not have the best interests of the seller in mind. We would appreciate your opinion on this situation. A friend of ours is selling their condo through a real estate agent. The market is slow and their unit has been up for sale for some time. Their agent has suggested they spend some money on upgrades to make their unit more attractive to potential buyers. Many buyers are looking for everything to be already completed so that they do not have to do any work at all to the unit when they move in. If it does not sell in a few months she will buy it from them. Oh, and she is suggesting they lower the price. She is suggesting $20,000 in upgrades and lowering the price by $20,000 which is a net hit in the wallet of $40,000. Pretty steep in our opinion, and also a good deal for the real estate agent as well. She gets the property at a lower price and with many of the updates already completed which makes it easier to sell in the long run! Does this sound suspicious? 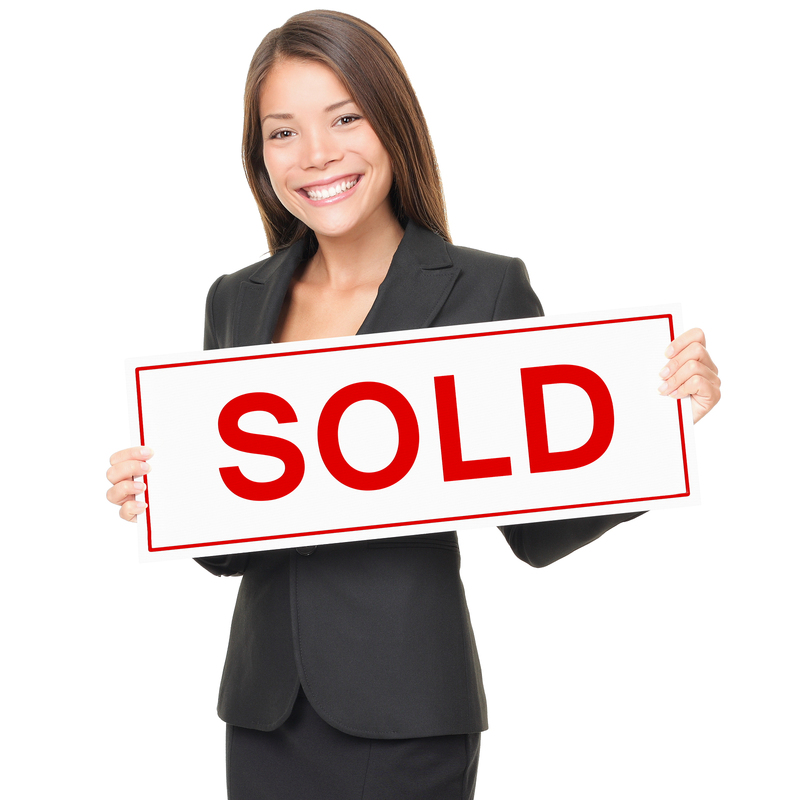 The agent cannot lose, if she sells the unit she gets the commission. If she buys the unit she gets the unit at a reduced price, it is upgraded and makes money. She also gets the commission when she eventually sells the unit. Real estate prices are on their way up in this area and over the next 6 months they are expected to increase by as much as 20% which is substantial. All the agent has to do is hold on to the property for a few months and she may make a 20% profit! Would you take her deal? We don’t think they should! We think they should find another agent or take it off the market. Housing prices in the area are expected to increase by 20% this year. Who is making money on this deal? What do you think? Everyone in situations like this must think for themselves. It is a good idea to look for advice from experts. However you really need to understand what the motivation is for each expert. Weigh that against the advice you are getting from them. If you are desperate, then maybe you want to take the deal. The deal closes and gives you the money you need from the sale of your property. This entry was posted in Personal Finance and tagged Selling Your Home on 2013/07/21 by ernie. How long do I need life insurance? Most people have life insurance of some kind to cover their debts when the pass away and to also provide for their families when they can no longer support them. No one want to see their family suffer after they are gone, especially if they are the bread winner. Life insurance can be the safety net if someone suddenly dies leaving debts and dependents. But what should you do once the kids are grown up and out working, raising their own families etc? Of course you still want to have enough money for your debts and to cover your spouse, but how much should you have and when should you stop paying for life insurance. This is a question the writer is struggling with and trying to make a decision on. There is a business decision side to this and there is a emotional side of the decision. So far the emotional side is winning, since I feel that I really do not need to have life insurance at this time in my life. I am just afraid to give it up. Stop Payments on Life Insurance When I retire? Some people feel that retirement age can be the trigger to end your life insurance payments. If your income from pensions etc is sufficient to cover all of your expenses and this income will continue after you are gone, then you may want to consider stopping the insurance. However if your spouse will suffer a huge drop in income once you are gone due t a pension or pensions stopping, then you may want to reconsider your insurance coverage and keep it a bit longer. Does it Depend On Your Personal Situation? The answer is that it really does depend on personal situations. What your pension income is; how much will be left after you pass; what your savings level is and how much income can be derived from your savings. You may want to keep a small policy to cover your debts and not much more if you feel that there is enough to go around and pay for everything that needs to be paid. The longer you wait to make a decision the higher the chance is that you may have a health event. Once this occurs it will be more difficult to not only obtain life insurance. It will also be much more expensive to purchase life insurance. The payout may also be reduced as well. 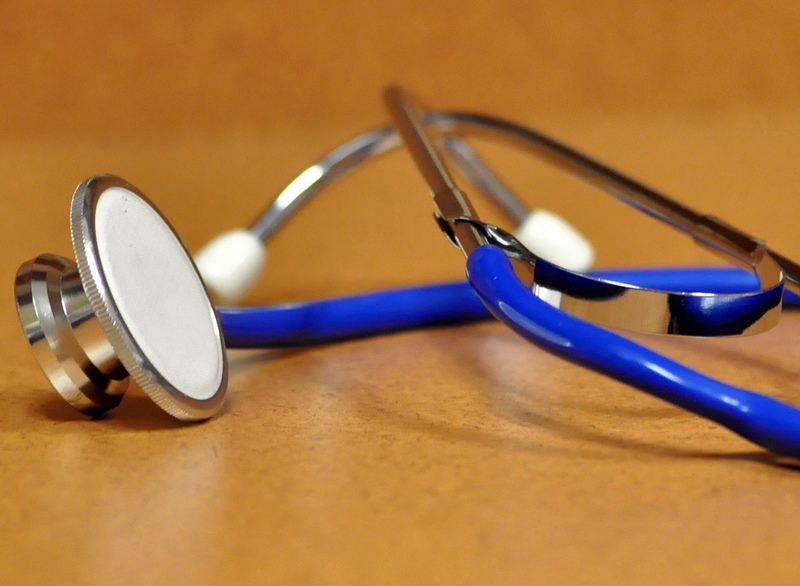 If you are age 50 or older and have not yet had a health related event, you may want to give your health insurance vs. your life insurance some serious thought. Long term care insurance is another factor that begins to creep into the picture the older we get. Some experts believe that while you might be dropping life insurance, you may also want to pick up insurance for long term care to cover the situation were you end up needing care of this kind. Evaluate your savings etc. Consider whether you want to be able to leave something as a bonus for loved ones. Once you have made those decisions, the decision about life insurance and how much you should have will become easier to make. That is my take on it, however many people have a variety of opinions on this topic. Leave us your comments and ideas if you agree or disagree. This entry was posted in Personal Finance and tagged Life Insurance Planning, Lifestyle Decisions on 2013/04/21 by ernie. Dealing with your parents finances is stressful and emotional. If you deal with the issues in a business like manner, you too can get through this trying time. Many people must deal with raising their own families and supporting their parents as they get older. This also includes managing your parents finances. It often comes as a shock to find out that your parents cannot manage their finances any longer and need your help. They may not even realize that they need your help and harbor some resentment at having their personal affairs poked into. It is important to summarize the basic financial situation of your parents relative to being able to fund all of their expenses. You will need to assess what assets they have and what monthly and annual expenses they have. Include basic living costs and medical care that they may need. Once you have this information, you will be in a position to know if there are financial issues that you need to deal with. You will know whether steps should be taken to conserve cash or reduce expenses. This is a stressful and traumatic time for both the parents as well as the children who are usually the people who have to make all of these decisions. Medical expenses are a huge cost. It is important to ascertain what coverage by insurance policies and your governments medical care and what is not covered. You may be making decisions about support devices. This includes wheel chairs, home care with nurses and homemakers coming in to full blown nursing residences. With your parents doctor you will be able to make decisions on the appropriate level of care and determine the cost involved as well. The best advice we can provide is to take things slowly and not overwhelm everyone. Discuss the issues over time and let people come to their own conclusions as long as an emergency does not develop. In the worse case you may have to get a court order if there is no living will. If here is a disagreement between siblings as to what steps to take, legal steps maybe needed. The last point we want to make is to emphasize that you have a very important job to do, and one that not compromised. Many seniors are taken advantage of by their children and other relatives. You should never be dishonest and you should never take advantage of someone when they are vulnerable least of all your parents. If you see someone doing this sort of thing, take action and notify other family members. If necessary call in the authorities. This entry was posted in Personal Finance and tagged Power of Attorney on 2012/10/21 by ernie. We have had a will ever since we were married which has been over 35 years. It was just the smart thing to do. We wanted to make sure that our kids and significant other were looked after in case something happened. However every once and awhile we run into someone our age who does not have a will. 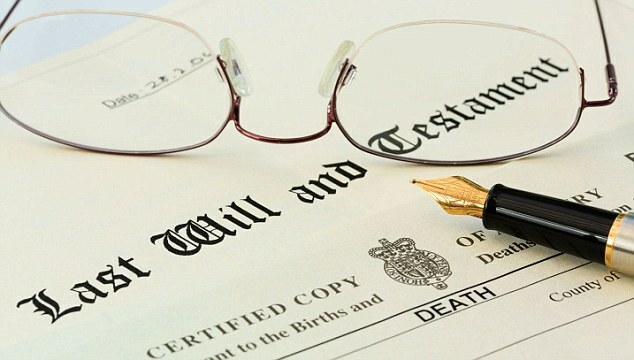 Why you Need to Have a Will? We are amazed that they have not done something about this major issue. Perhaps they just have not thought things through. Or they have this silly emotion that it puts you one step closer to the grave. You would be surprised at how many people actually think this. If you are a responsible adult, then it is time to step up and do the right thing for your family. If you need to make some tough decisions, then make them, but get on with it. Here are some of the reasons why you should not delay this one more day! 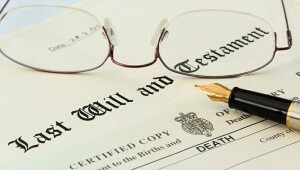 Having a will is only a part of estate planning. We will focus on this element on this blog, but please give some thought on how you want your estate dealt with in preparation for the time when you can no longer make decisions. Many of us think of estate planning as something only seniors must do. The truth is, it’s essential for every adult with a spouse, child or business, regardless of age, to have solid plans in place. People in their 20s and 30s are in high gear. They may marry, start a family and buy a home. Some may start or buy a business. It’s all about getting started in life and nobody wants to think about taking their foot off the accelerator. Having a will can provide some protection for the important people in your life and assets that you have. If a young couple is killed in an accident, their young children must be raised by someone else. If the parents haven’t made wills, they have lost the opportunity to choose the new guardians of their children, and to have the children raised together in one family with someone they know. Most parents, confronted with the choice, would rather not have extended family members dispute guardianship in court. And certainly not many would want to risk the children becoming wards of the government. Using a will, the parents can also make provision for money to flow from their estates to the guardians of the children to help pay for raising the children. This could be vitally important if two or three children are left behind to join a different family that already has two or three children of its own. Even young people without children should plan ahead for a premature death that leaves one of them widowed. As mentioned, a will is essential – but estate planning doesn’t stop there. Some assets are not governed by a will, namely jointly held assets and assets with designated beneficiaries. It’s important that everything works together. One of the largest purchases a young couple will make is a family home. They must understand the legal effect of a jointly owned home as opposed to a home held as tenants-in-common. An incorrect title can have a devastating effect if it causes a widowed person to lose his or her home as well. Joint tenancy, which is by far the most common way that couples own their property, provides a right of survivorship to one owner when the other passes away. It keeps the house out of the estate; probate is not required for its transfer to the surviving owner. Tenancy-in-common doesn’t provide a right of survivorship. The half of a house owned by a deceased tenant-in-common falls into the deceased’s estate, where it’s subject to creditors, claims and delays. Couples often start contributing to RRSPs when they’re young and they need to understand the legal, tax and financial effects of naming a beneficiary. They also need to consider who will be named as the beneficiary of life insurance policies. Leaving insurance proceeds directly to a spouse will have quite a different effect than leaving them to an estate, depending on what else is going on in that estate. Because assets of a deceased are deemed to have been sold immediately before death, any tax that has been deferred becomes payable. RRSPs are funded with pre-tax dollars, so on the death of the owner, the deemed sale triggers the payment of taxes on the RRSP. The payment of this tax can be avoided on the death of the RRSP owner if he or she names a spouse as the beneficiary. When a spouse is named, the payment of tax is deferred again – until the spouse dies or takes the money out. This also protects the spouse in the sense that the RRSP doesn’t fall into the deceased’s estate so it is safe from claims, creditors or litigation. Leaving a life insurance policy to a spouse directly also keeps the insurance proceeds out of the estate, ensuring that there are funds in the spouse’s hands no matter what is going on in the estate. This is better for the spouse. On the other hand, there are excellent reasons to name the estate as the beneficiary of a life insurance policy. The main benefit is that it provides cash in the estate that can be used for paying tax or paying debts (such as paying off the mortgage on the couple’s home). Life insurance can also be used to provide money that can be distributed to one of the children. For example, the deceased was leaving his or her major asset – a business or farm- to one child. They didn’t have enough assets to give a similar amount to another child. Another use of life insurance is to create funds for holding a property such as a cottage in trust. So it’s very individualized depending on what the person is planning to do, and based on what assets already exist. Life insurance is much cheaper at this age than it is when people are older. Young people should consider the various ways that life insurance can be used to their advantage. It can replace income. Life insurance can pay out a mortgage, leaving the widowed spouse with clear title to the home. It can provide funds to leave in trust for the children. It can provide cash flow to be used to pay taxes and expenses. Young couples should ensure that they are neither under-insured nor over-insured. Finally, young people who are tying up a great deal of time, effort and capital in a business must plan right from the start to protect their families. If the business is incorporated and there are other shareholders, there should be a buy-sell agreement put into place that clearly states what happens to the shares of a deceased shareholder. Often the agreement provides that the other shareholders will buy back the shares. In a fledgling company (and often in more established ones, for that matter), this probably means that a life insurance policy owned by the company will be taken out on the shareholder’s life. You might be incapacitated by an accident, stroke or some other complication. Who do you want to make the decisions about your care and medical treatment? How far should they take the treatment in terms of trying to save your life? These are all questions that you do not want to leave up to just anyone. It should be someone you trust and not a court appointed bureaucrat! This entry was posted in Personal Finance and tagged Estates and Wills on 2011/01/21 by ernie.